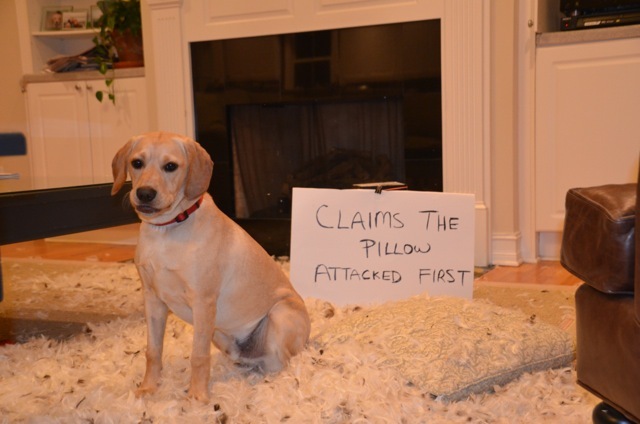 Darn pillows, ya can’t trust them. Benny is my hero, saved the family again. Sometimes they just explode spontaniously, I’ve heard.